Stuart Bowes is presented with his CAMS Service Award from commentator Greg Rust (right). 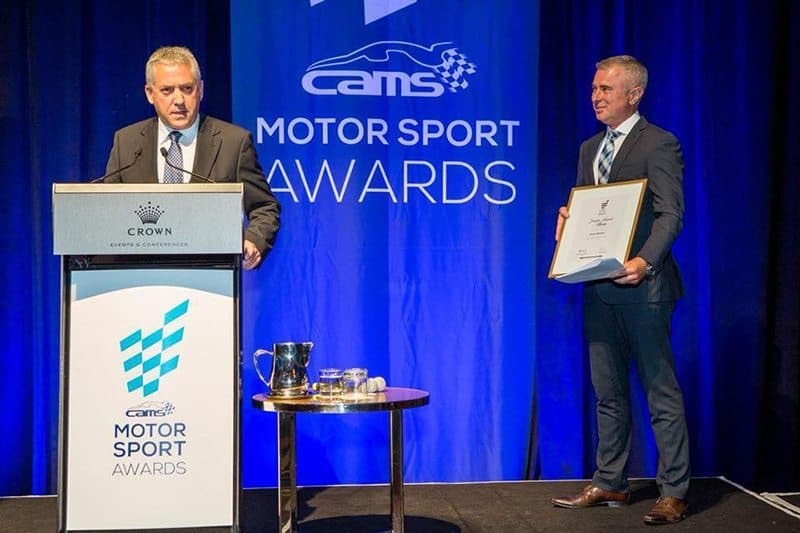 One of RallySport Magazine’s founding contributors, Stuart Bowes, has been honoured for services to motorsport at the recent CAMS Motor Sport Awards Night at Melbourne’s Crown Casino. 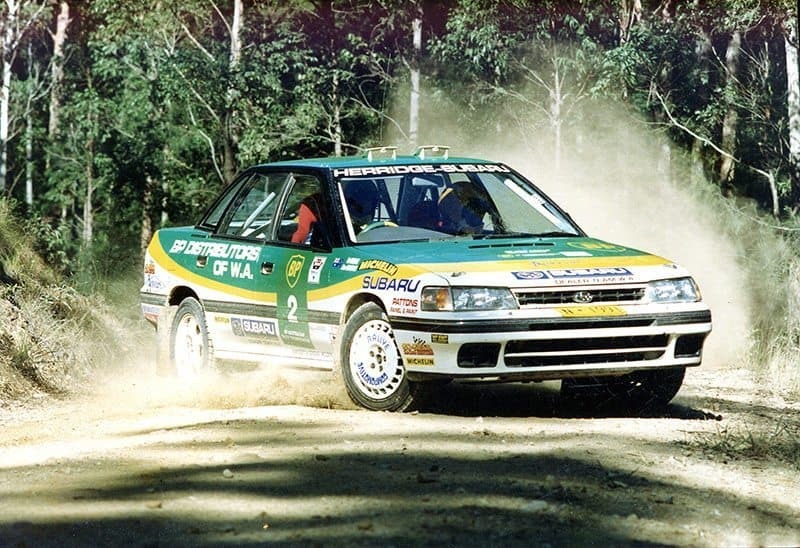 Since the second edition of what was then ‘Australian Rallysport News’ in October 1989, Stuart’s images have adorned our pages and now continue to appear on our website almost 30 years later. With the arrival of Rally Australia in Perth, Stuart saw an opportunity to indulge in his passion, forming a world renowned international motor sport photo agency. A chance meeting with RallySport Magazine’s Jeff and Peter Whitten saw a long-time friendship formed, and an amateur ‘snapper’ was soon to realise his dream. “I often tell people I’ve had the most wonderful life in motorsport, travelling the world at someone else’s expense,” he says. “It’s been a career that simply can’t be surpassed when I reflect on all the opportunities that have come my way. I’ve been very lucky to have done so many things that few people will ever get the chance to experience. This photo of Rob Herridge’s Subaru Liberty RS Turbo was one of the first sold commercially by Stuart Bowes. Bowes has set a record that’s unlikely to be beaten, continuously covering the Australian Rally Championship for more than 25 years (that’s over 150 rounds), and another 10 years on the Australian Off-Road Championship trail, along with a number of other events, including Round Australia trials and several Australian Safari races. All of this is on top of his time spent overseas covering the World Rally Championship, Formula 1, World Touring Car Championship and international motor shows. “In my heart, it’s rallying that will always be my passion. The sport is just fabulous and it’s what captivated me from the very start,” he added. In 2017, Stuart put away his cameras for the final time and returned to his roots by getting behind the wheel of his newly built 450SLC Mercedes Benz gravel rally car. He took a podium result at the Rally of the Heartland, in his first event in more than 30 years. In addition, he has a burgeoning collection of classic rally cars including a genuine ex-works Toyota Team Europe Celica GT-Four used on the World Rally Championship, and an ex-Ross Dunkerton Group A Mitsubishi Galant VR4, the very first one built by Ralliart Australia. Congratulations Stuart, and thanks for many years of wonderful rally photos.